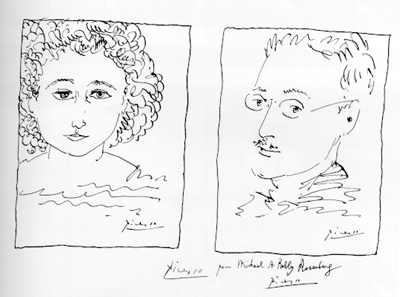 The National Committee to Reopen the Rosenberg Case annual memorial meeting June 18, commemorating the 56th anniversary of the execution of Ethel and Julius Rosenberg, featured calls for the exoneration of the couple, executed in 1953. The well-attended event was held at New York University’s Tamiment Library. Longtime researcher on the case David Alman, 90, read from his work in progress, “The Case for Exoneration.” Alman believes exoneration may be forthcoming relatively soon. He started with some history of the case, before turning to Morton Sobell’s revelation last year that he and Julius Rosenberg had given non-atomic military information to the Soviet Union, during World War II when the U.S. and Soviet Union were allies. Alman said he believes Sobel’s statements were a confession to a crime, but not to treason. Under normal circumstances, he maintained, the Rosenbergs would have been sentenced to 10 years, serving perhaps three or four of those. Instead, they were framed for treason and executed. “Julius and Ethel Rosenberg were accused of Communist Party membership, as if that were a crime, and executed for ‘atomic espionage’ at the height of McCarthyism, in an attempt to scare Americans away from Communist Party membership or sympathies,” said Dr. Angelo D’Angelo, a longtime activist with the Rosenberg Committee. He added that the trial was fraught with irregularities, and activists then and now have seen parallels with the cases of Sacco and Vanzetti and Mumia Abu Jamal. Alman went on to describe his call for exoneration as a call for justice for the historically-persecuted Jewish people. He is seeking a White House posthumous exoneration of the Rosenbergs and of Sobel. He spoke of a historical opportunity to “reclaim America” from 60 years of a dual legal system — one responsible to the Constitution, one not — thus offering a compelling context to Guantanamo and other pseudo-legal abuses of the George W. Bush administration. Miriam Moskowitz, who was in prison with Ethel Rosenberg, read from her own book in progress. Starting with a history of the flawed prosecution of the Rosenbergs, she questioned whether they were guilty of treason, or, instead, of alleged CPUSA membership and apparent Jewish ethnicity. She reiterated questions about whether the trial was fair, noting the history of bias of the judges and prosecutors, which included the notorious McCarthyite Roy Cohn. Moskowitz wondered aloud whether what the Rosenbergs did was really espionage, or merely stealing intellectual property from their employers. Was it a case of treason, or just the perhaps-illegal but certainly not treasonous mistakes of youthful idealism? After all, all of America was committed to supporting the Soviet Union’s defeat of Nazi fascism at the time in question. She suggested that the Rosenbergs’ activities were more properly compared to any American business executive who goes to another company, bearing trade secrets. As for these secrets, they were not of how to make “the bomb,” but of a defensive radar system. The case, she concluded, was blown out of all proportion by the insanity of J. Edgar Hoover’s hunt for communist espionage. The event was emceed by committee co-directors Richard Corey and Leonard Lehrman. There was a sense of the gathering that people want to work together more formally, with regular meetings and updates throughout the year. For more information on the injustices of the Rosenberg trial and the campaign for exoneration, and to become involved, contact the National Committee to Reopen the Rosenberg Case at 718-667-4740.